Elwyn Gonzalez, with Metro Planning, spoke Wednesday with residents interested in the future of the Dickerson Pike corridor. Nashville’s Dickerson Pike has been known for vacant and dilapidated buildings, and once had the reputation as the city’s red-light district. But that’s been changing. And this week, city planners are meeting with residents and property owners to develop a vision for the corridor, which some see as ripe for redevelopment — but in ways that could differ from other parts of the city, with more effort put into incorporating rapid transit and affordable housing. The discussions culminate in a presentation at 5:30 p.m. Thursday at Trinity United Methodist Church, 204 E. Trinity Lane. Officials will then need at least a few months to formulate possible policy updates, zoning changes or new incentive programs related to development. All of this planning continues despite the city being skipped over last year for a federal transportation grant directed toward Dickerson Pike. “The building stock is getting older,” said Michael Briggs, transportation planning manager for Metro Planning, “so it’s probably ripe for change. So I think we need to have this conversation now about what that change looks like." As Briggs studies the area, and hears from people, he notes that there hasn’t seen the same intensity of development as elsewhere. But it’s close to downtown, so that pressure is coming — and raising questions about what will end up replacing the old buildings or filling in the empty lands. With the downtown skyline visible to the south, the Dickerson Pike corridor is under study by Metro as interest in development and rapid bus service grows. To a surprising extent, many people who spoke with planners this week agreed that Dickerson Pike would benefit by dense development — even buildings up to 13 stories tall, which other neighborhoods have resisted. Planners say that level of density could concentrate enough housing and jobs to support the city’s first true “bus rapid transit” service — with buses running in their own lanes to avoid traffic, as suggested in several Metro plans. That vision has the backing of Myron Dowell, a developer with Strategic Options International. “If we want walkable neighborhoods, we’re going to need to think about reshaping the way people think about cars and having more density along the corridor,” he said. Some broad concerns have been raised, especially among residents in the neighborhoods to the east of Dickerson Pike. “I’m all for development on Dickerson, but I’m concerned with them encroaching on the neighborhoods,” said Omid Yamini, who reviewed maps with planners on Wednesday. 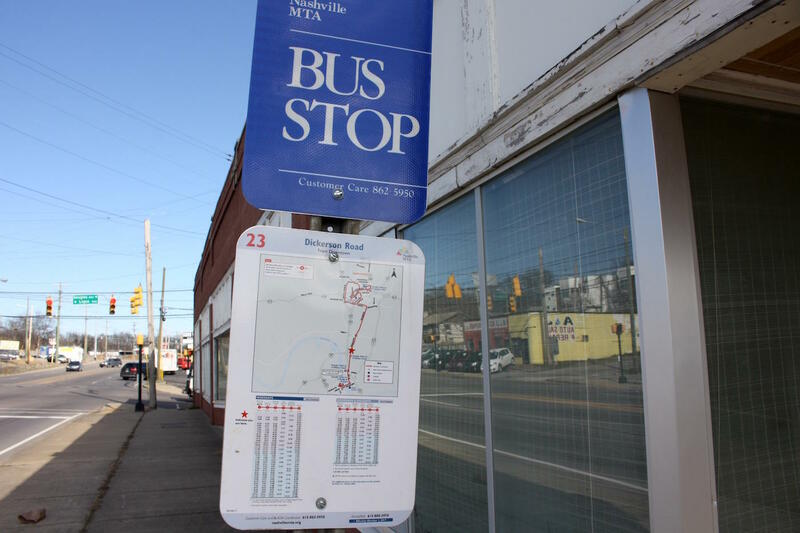 Metro has long considered Dickerson Pike a promising corridor for rapid bus service, which could include buses that run in dedicated lanes to avoid traffic. And Briggs, the planner, said there isn’t clear consensus about how traffic should move on Dickerson Pike itself. For now, Metro Planning is still gathering feedback — mostly “aspirational,” Briggs said. It could be a few months until any policy changes are recommended to the Metro Planning Commission, and longer still before Metro would propose zoning changes or special new districts to guide and incentivize development. For more information, visit: Metro’s Dickerson Pike study website. 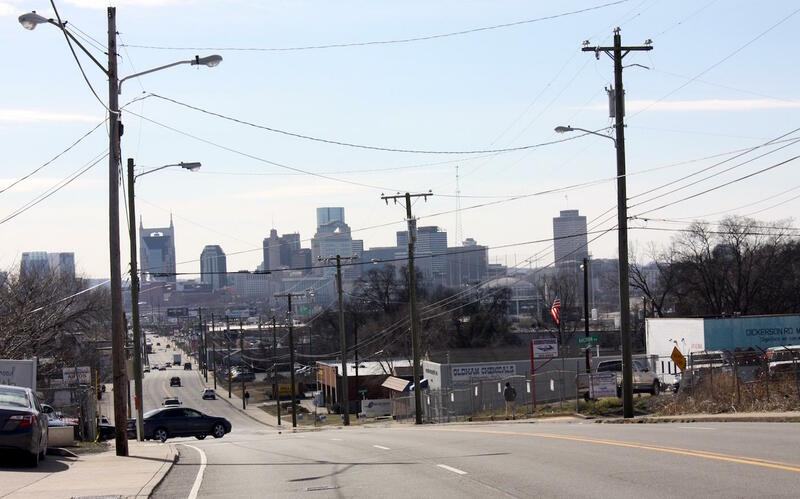 In what could be Nashville’s most ambitious mass transit endeavor since the failed transit referendum in May, officials are seeking federal funds to examine a possible “bus rapid transit” line along a 6-mile portion of Dickerson Pike between downtown and northeast Nashville. Dickerson Pike was always on my list for the first four installments of the Pikes Project, and I’ve had a lot of time to explore it while working on my portraits of Gallatin, Nolensville and Charlotte Pike.